Herbivory by the specialist herbivore Exyra semicrocea on the carnivorous plant Sarracenia alata results in loss of nutrients and photosynthetic tissue (direct losses) and diminished prey capture (indirect losses). Using a combination of field surveys in a bog in Leon County, TX USA, and laboratory assays, we examined the losses of tissue and nutrients to herbivory in a population of S. alata. In a field experiment in the same bog, we manipulated herbivore access, prey capture, and supplemental (compensatory) prey to examine the relative effects of direct losses, indirect losses, and their combination on plant growth. We hypothesized that the combined effect of direct and indirect losses would be greater than the effects of either direct or indirect losses alone. Approximately 86% of pitchers in the study population had evidence of herbivory by E. semicrocea. On average, 15% of each damaged pitcher was consumed. In the field manipulation experiment, both direct and indirect losses significantly reduced growth in S. alata, but there was no significant interaction effect. As predicted, pitcher production was lowest in plants experiencing both direct and indirect losses. 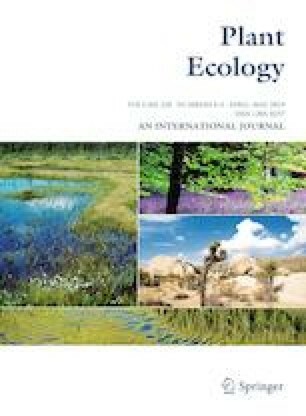 These results demonstrate that herbivory by E. semicrocea can be widespread and have a significant negative effect on growth of S. alata. Future studies should examine the effects of herbivory on nutrient limitation, storage in rhizomes, and sexual reproduction. The Adkins Fund and the Research and Creative Activities Fund of TCU provided financial support. We thank Dr. Michelle Green, Lauren Rogers, Emma Brylleslyper, and especially Zane Winer for field assistance and feedback. Dr. Wes Nowlin provided nutrient analyses. We thank the landowners for permission to access their property. RC thanks Bill for encouragement and support. This manuscript was improved substantially by helpful comments from two reviewers and the associate editor.